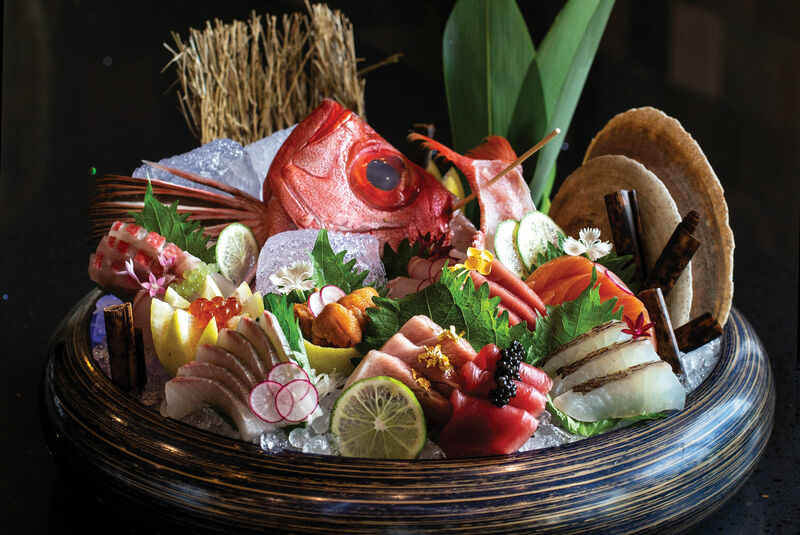 Good things come to those who wait at this Hong Kong-style specialist. 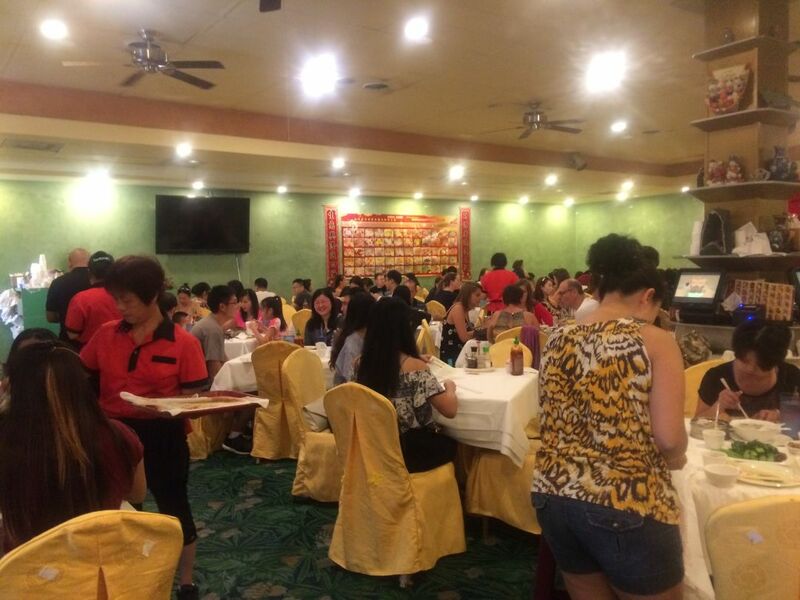 A full dining room on Sunday at Golden Dim Sum. 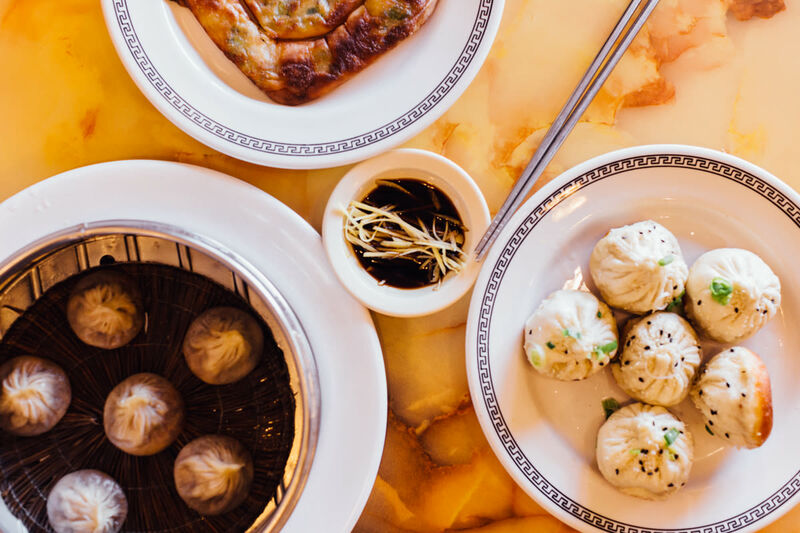 Anyone who's eaten a lot of dim sum has waited in a lot of lines. The rush hour of brunch eaters is usually unavoidable. And on Sunday, I stood in the foyer of Golden Dim Sum Restaurant like all the other suckers. But I didn't have to. 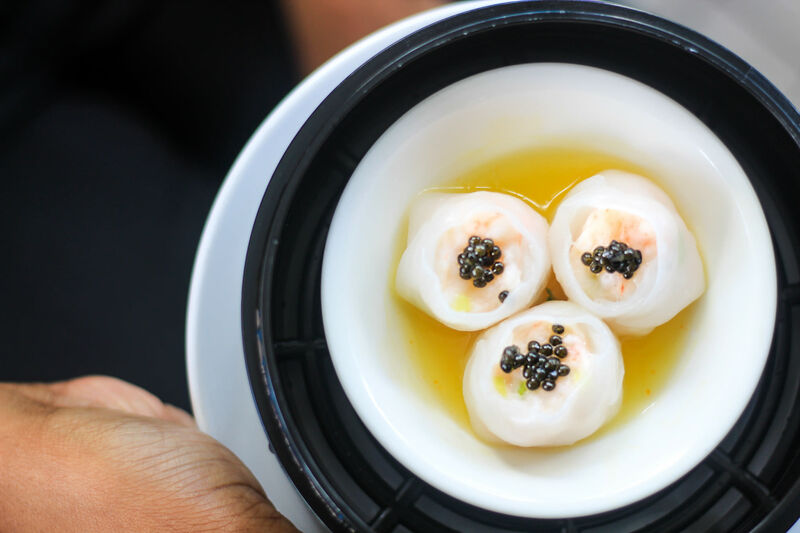 A call placed after my meal revealed that dim sum is always available at the Hong Kong-style restaurant, along with a broader menu of lettuce wraps, brittle bone fish and lobster straight from the tank. Yep, up until 11 p.m. on Friday and Saturday, you, too, could be gorging on phoenix talons. 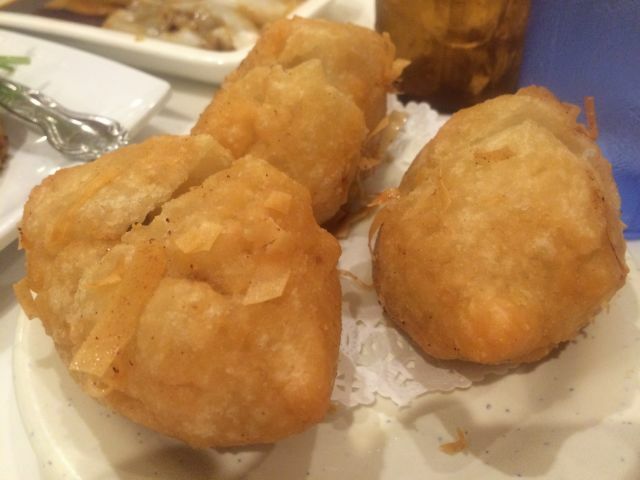 But for amateurs like me and my crew, Golden Dim Sum manages the wait exceptionally well. First, there's the ticketing system. Rather than putting in your name when you arrive, you tell a lady at the front the size of your party and then, you're given a ticket like at a butcher's counter. If you ask nicely, she may even tell you how long you can expect to wait. In our case, it was 30 to 40 minutes, which proved to be accurate. But we were occupied in that time: Along with that ticket, diners are also handed a picture menu and a paper one for marking up their choices. This is kind of brilliant. Not only were we having fun picking our salty, fatty poisons while we waited, but by the time we sat down, we were ready to hand our paper menu to the server, so food began coming out in minutes. Sure, it's not the instant satisfaction of a push cart, but the food is made to order and my gang and I ate exactly what we wanted, not something that looked good enough while we waited to see if our favorites materialized. My typical #1 choice appeared from the kitchen first, in fact. 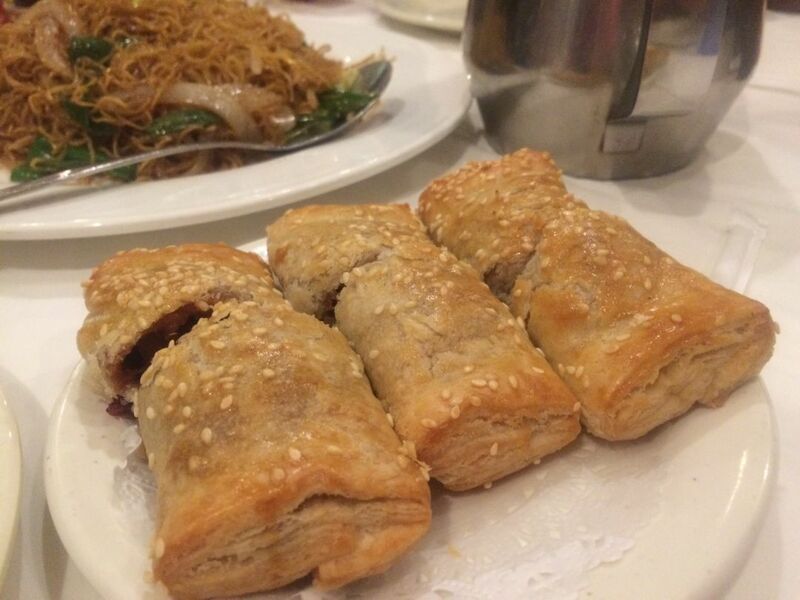 When done completely right, sweet cha siu pork folded in puff pastry is perhaps the best sweet-savory fusion on Earth. This version was not only slightly gooey, but came to the table lukewarm. Uh-oh. But it turned out, that was the only (partial) loser in the bunch. 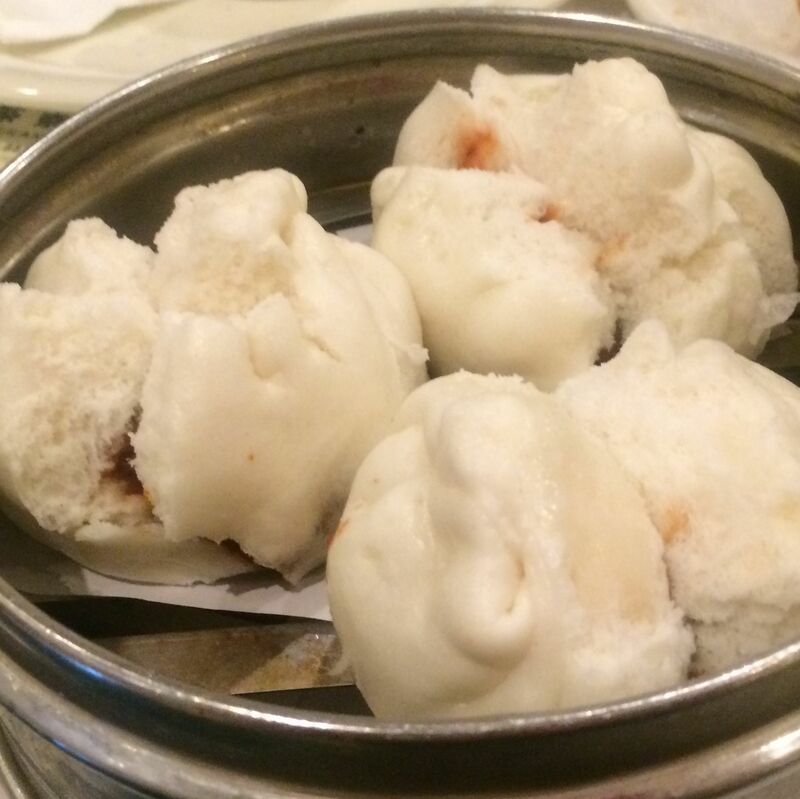 The more classic (in my mind, vanilla) red pork delicacy, cha siu bao, however, was a pretty ideal specimen—and steaming hot. One of my other favorites, steamed pork ribs in black bean sauce, were not only less funky and salty than I expect, but also less tender. Still, those were my only major complaints. I was particularly taken with the beef meatballs, usually a B-List option. Ultra smooth and unmarred by the crunchy water chestnut that often suffuses them, the yuba (tofu skin) adhered perfectly to their smooth surfaces, and soaked in the sweet soy-based sauce in which they rested. 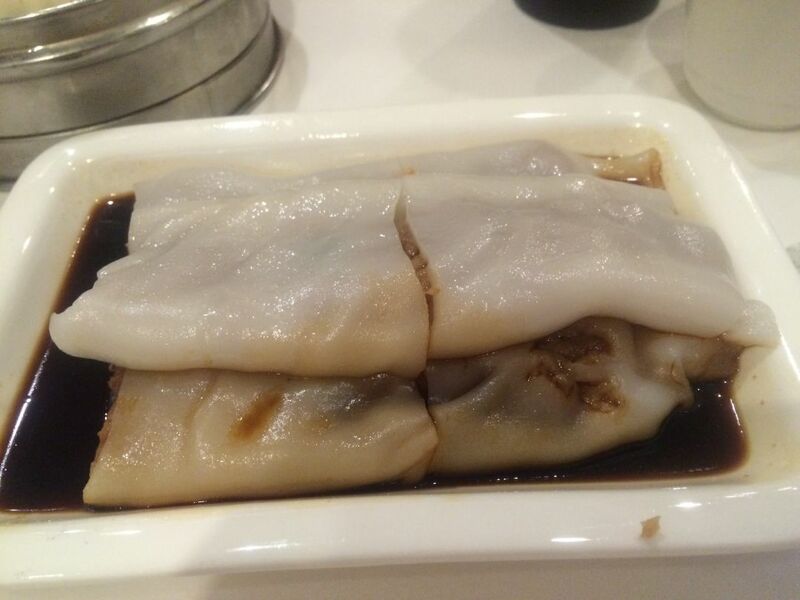 Golden Dim Sum has a particularly wide range of steamed rice rolls, the manicotti of the dim sum world. 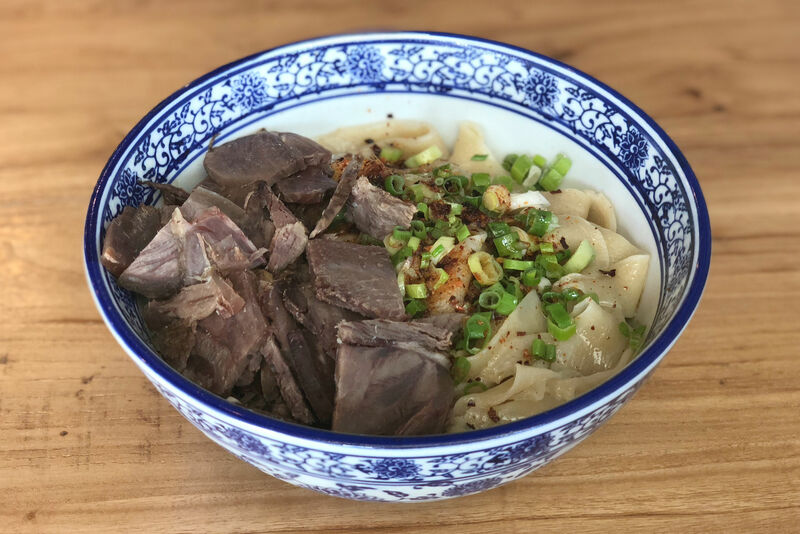 In all, there are 11 varieties on the menu, starting with plain noodles and expanding to include ones in chile-dotted XO sauce or topped with pork ribs. We stayed basic with beef and were rewarded with the dish that proved to be my dining companions' agreed-upon favorite. I say it could have used some cilantro, but then perhaps I should have ordered the version filled with nothing but cilantro. We discussed ordering dessert (we were particularly curious about an egg custard bun roll and cake both described on the menu as "Malaysian"), but the pull of ECK Bakery around the corner proved too intense. Why order egg custard where you already are, when you are a minute away from the Egg Custard King? But that was this time. 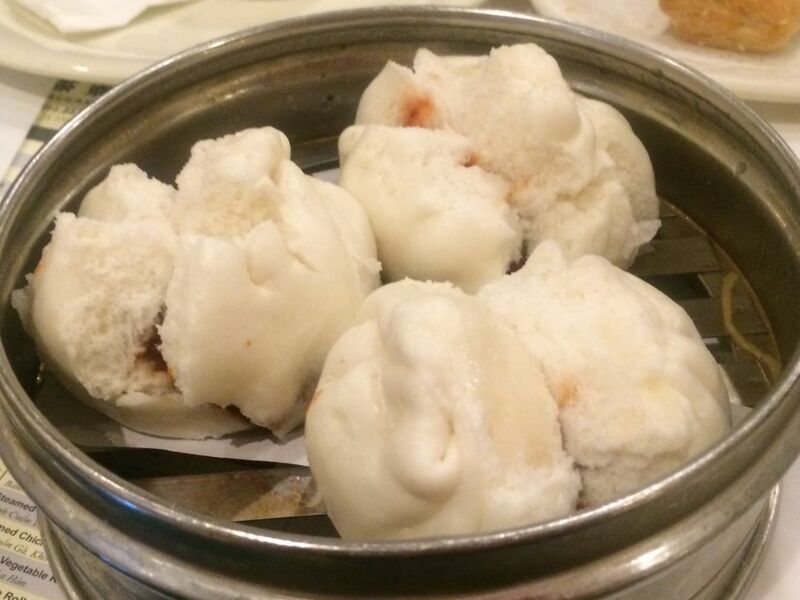 There's no question that there will be return visits, likely for some evening dim sum, complete with heart-shaped mango pudding and Malaysian sweets. $ Chinese 10600 Bellaire Blvd.